In some ways, cloud technology seems like it was made for a call center operation. The emergence of new cloud-based data storage and delivery models and innovative cloud services has been a game-changer for businesses maintaining and growing call center operations. What’s the advantage of cloud technology for call centers? The short answer is that cloud services allow call centers to quickly deploy, manage and enhance the overall reliability of the platform. There are particular costs, challenges, and responsibilities involved in running a call center, and cloud services can help to manage these efficiently, with a higher level of versatility and automation. One of the key ways that cloud drives improvement in call centers is related to telework and remote work principles: cloud systems can make it easy for managers to locate agents anywhere that they need them. In the not-so-old days before the cloud came along, all of the masses of data that call center operators accessed from desktop workstations had to go to physical in-house servers and storage centers that had finite capacity and required a lot of maintenance and calibration. It was an everyday sight to see a harried manager or a member of in-house IT staff wrangling wires, trying to cool a server room, or pursuing all of those other mundane tasks related to taking care of the physical part of digital data storage. Imagine the relief that these professionals felt when they and everyone else realized that you could just call a vendor, arrange for off-site data storage, and focus on improving your business processes. Cloud has reinvented and reinvigorated the call center by allowing for a very different focus and allocation of resources, away from handling in-house hardware. That’s a key reason that, according to Invensis, over 50% of the call centers operating today have started to utilize cloud services, and that more are expected to do so in the future. This guide from TCN provides a compelling description of how cloud contact centers save businesses enormous sums of money. Then there’s this resource from Five9 showing how cloud services become an integral part of a smooth, well-functioning call center “machine,” along with call tools like auto-dialers, virtual response technologies like IVR, workforce management tools and customer relationship management platforms. 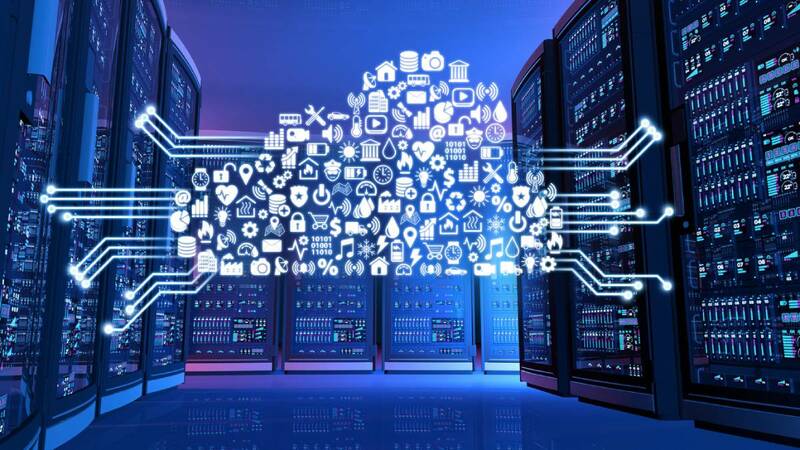 Essentially, the cloud frees all of that call data to be stored and accessed in more versatile ways, while cutting costs for operating companies in a big way. Another buzzword that sprang up around cloud use is the term “on-demand.” In fact, many executives started saying it without really understanding what it means. On-demand is about much more than just convenience. It’s not just a way to order services; it’s a key way to better allocate resources over time. And it’s perfect for call centers, which are always adding and dropping volume in a volatile, dynamic role. This guide from EvolveIP shows how many companies “oversubscribe” when it comes to phone lines, and how dynamic workloads cause headaches. These are the types of problems that cloud services are built to get around: with on-demand service, the cloud vendor scales up to fit capacity and drops back down when that capacity is no longer needed. Some services talk about “subscription models” where clients pay per 100 calls, or by some other scalable metric. Again, this allows a company to work free of those old restraints where in the past, a call center had to add hardware or recalibrate to reach peak performance. Tracking these types of productivity units is so important in telephony that professionals came up with a strange, science-fiction-sounding term to describe a similar process: the erlang. The Erlang, as described by scientists, is the full utilization of a cord circuit over a period of one hour. With major changes in networks over the years, call center operators are not likely to really measure in erlangs, but they will use things like gigabytes per second. Cloud services can help, not just because the vendor tracks calls into and out of the client’s network, but because many of them offer the kinds of analytics resources that make all sorts of other network activity more transparent. It’s not hard to tie these into things like scheduling and call productivity monitoring, the management of calls by agents, and general utilization of resources by staff. In short, the cloud is perfect for the call center because it gives companies a much better engine for flexibility ramping up call center activities, knowing what’s going on with bird’s eye views, and building and refining protocols for serving the end clients – those people on the other end of the telephone line. And that’s something call center operators can take to the bank.